Occupy Reno is Moving Forward! 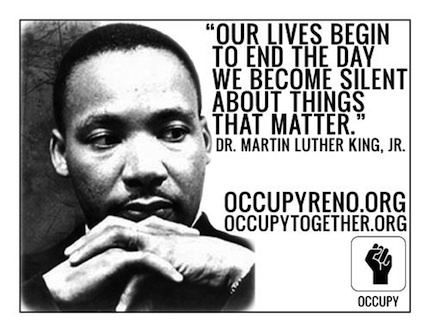 Posted on January 19, 2012 by occupyreno | Comments Off on Occupy Reno is Moving Forward! 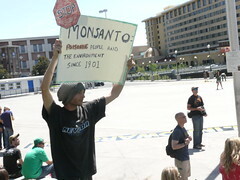 “At this past General Assembly, we discussed many issues facing Occupy Reno as we move forward. There were many passionate words and inspiring speeches. While there was some verbal sparring–which there will always be when a bunch of fiery, smart, and strong-willed individuals get together, as someone wisely pointed out at the GA–everyone at the meeting was committed to moving forward. In this spirit, we are marching on. We are pursuing options for staying at Moana Springs as well as pursing other opportunities to occupy other locations. We do not know whether or not we will have to leave Moana Springs when our original permit expires next Wednesday (January 25th) at 4:00PM. If we do leave, we want to make sure that we leave no trace behind. On Sunday, we will be cleaning the site starting at 12noon. However, if you have a truck/trailer/hauling means or a site to store items, please visit the site whenever you can to pick up items that are not immediately necessary for the occupiers still there. There will be occupiers at the site until the 25th (and perhaps beyond)! For minutes from the General Assembly, please click here. We have MANY more actions lined up in the coming days listed below! Occupy City Hall 8 a.m. – 5 p.m. outside City Hall. More help needed! OCCUPY THE COURTS 8:00a.m. to 6:00p.m. outside the Federal Building downtown. Note: Occupy City Hall will join those at Occupy the Courts and will not be in front of City Hall. Post GA March against Corporate Personhood 2:00pm from City Hall to Federal Building. More details coming soon! Post-March (around 3 p.m.) Visit RTC bus station (4th and Center St.) to review a possible new OR staging ground to demonstrate and educate. Visit again for night-time perspective around 8 p.m. Noon until done: begin dismantling under-utilized structures from Moana Springs and clean-up to prepare for potential eviction. We are committed to a Leave No Trace principle. Please help us uphold this. Reno City Council will address the topic of corporate personhood. 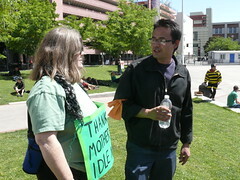 As always, we thank you for keeping Occupy Reno strong and look forward to seeing you at upcoming events. We’ll be sending out another update soon with more information on Saturday’s march. Please try to make it if you can! Comments Off on Occupy Reno is Moving Forward! At this Saturday’s General Assembly, it was apparent that we are at a pivotal moment in our movement. On Wednesday, we will be one week away from our original permit expiring. On Wednesday, the City Council may discuss a fee schedule that may affect our ability to remain at this site. In light of these events and tensions within our group, at Wednesday’s General Assembly we will discuss how we continue moving forward with Occupy Reno. Wednesday’s GA is not about the end of Occupy Reno, but a GA to discuss how we will continue Occupy Reno. At the GA we may discuss what has come to divide us, but the GA will also be a time to come together to discuss what continues to unite us. Wednesday’s GA is a time to share knowledge—to become better informed about our movement and each other. Wednesday’s GA is a time to listen to each other. Wednesday’s GA is a time to air concerns. Wednesday’s GA is a time to introduce ideas. Wednesday’s GA is a time to understand what each of us has at stake in this movement. To effectively facilitate this discussion, the agenda format of this GA has been slightly adapted. The meeting will begin as usual with an introduction to the facilitator team, a review of the process of the GA, and announcements. After this opening, we will move into a discussion of moving forward in Occupy Reno. To begin the discussion—and in place of committee report backs—each committee is asked to send a representative to the GA to give a report. The report should discuss—as objectively as possible—the committee’s understanding of the future of Occupy Reno. This report should help inform the GA as a whole on issues that the committee faces. For example, the Finance Committee could report that it takes X amount of money to cover insurance each month, X amount of money to cover port-a-potties each month, etc. This data leads the Finance Committee to have X, Y, and Z concerns. Another example: The Green Committee has been doing X, Y, and Z. If Occupy Reno does A, then these projects will be impacted in E, F, and G ways. Another example: The Camp and Infrastructure Committee reports that X number of people are currently occupying Moana Springs full time. Of these full-time occupiers, Y number of people have no other home to go to. These committee reports are all about conveying information to the GA so that every member of the GA can engage in a knowledgeable discussion of our future. To be clear, these committee reports are just that, reports. They are not opinions of individual speakers. Following the committee reports, the stack will be open. Any and every individual here is encouraged to join the stack and have their voice heard. In an effort to have as many voices heard as possible, individuals that have yet to speak will be given priority over individuals that have already spoken. This means that if Jane is in the stack for the second time, John—who has yet to be heard—may be moved in front of her. In a further effort to have every voice that wants to speak heard, each committee representative and each individual speaker has a 3-minute time limit. If an individual has more to say, the individual is encouraged to join the stack again. For this reason, each committee representative and individual is encouraged to prepare some notes in advance so that she or he can cover everything that he or she wishes to say in the allotted time. In forming your thoughts, remember the principles upon which this movement has been formed and the principles that have become important to each of us as the movement developed. 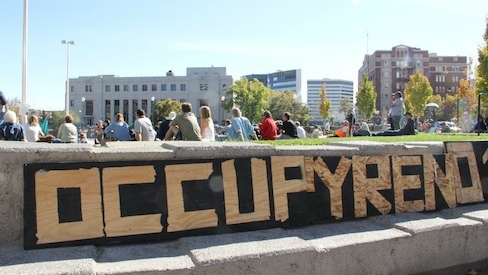 In particular, let us remember that Occupy Reno has been a nonviolent, peaceful movement. The GA will conclude the meeting with a recap from the scribe and a soapbox for anything that anyone wants to say outside of the scope of the “moving forward” discussion. This is an important GA. We ask everyone who is able to attend to stay as long as possible. As the temperatures have begun to drop, we ask everyone to dress warmly for the GA. The facilitation team will make the site of the GA as comfortable as possible. “Occupy 2.0” – Occupy City Hall – Good Deeds – Got Laptop? 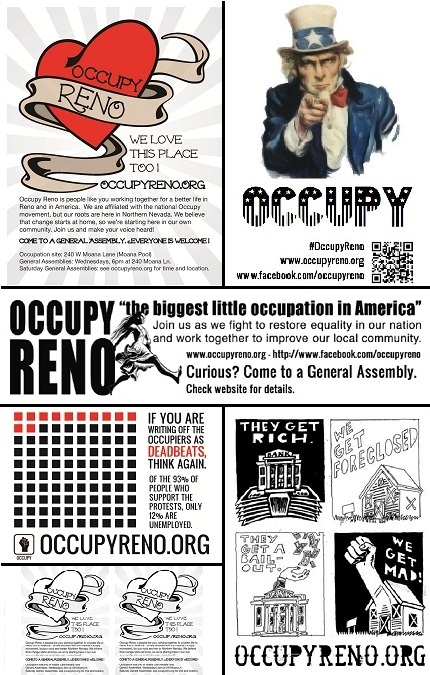 Posted on January 8, 2012 by mediaoccupyreno | Comments Off on “Occupy 2.0” – Occupy City Hall – Good Deeds – Got Laptop? If you caught Occupy Reno on the Channel 4 News this week, you may have heard about “Occupy 2.0.” While the reality isn’t quite as “in your face” as it sounds on TV, it’s still an exciting development. The Charter group has been hard at work coming up with an official document that will formalize and streamline Occupy Reno’s organization. This is a big step forward for us, and it will be better if everyone participates. The Charter will be a “living document” that can be changed at any time, but the best time to weigh in is right now. Please read the draft Charter Document and give your feedback here: Occupy Reno Charter Draft. Occupy City Hall has been a highly successful campaign, with 704 signed letters as of Saturday morning. Next week, the City Hall crew will be asking passersby to sign the Bernie Sanders petition to amend the Constitution. The same intrepid individuals have been at City Hall every day, and will be there next week too. Come down and join the protest if you can, and consider bringing cocoa, cider, snacks and cups to share. Occupiers handed out food this weekend at the Reno homeless shelter. This weekend, Occupy Reno members did their first stint serving food at the Reno homeless shelter. The UNR committee is organizing its first “teach-in” next week after the Saturday GA. This will hopefully be an ongoing series offering free education on seminal issues. Moana Springs’ hoophouse is fully planted, and the Green committee is working on tilling a new garden area. Please bring topsoil, loam, non-toxic wood ash, diatomaceous earth and other soil amendments, and help till the soil if you can. The Infrastructure committee needs a laptop for camp business. Can you donate an old computer? The “Occu-Flu” has hit some Occupiers hard. Please donate any vitamins and cold remedies you can spare. Actions are in the works for 1/17 and 1/20. January 20 is a National Day of Action against corporate personhood. More information will be available soon. If you want to help plan these actions, come to the Outreach/Action meeting, Monday 1/9 at 5:30 at Strega Bar. The second UNR rally will be on 2/2. Please contact unr@occupyreno.org if you want to speak! We need more voices from the community to share their stories and fiery speeches. The Moana Springs permit expires on 1/25. We will be discussing options for renewal at future GAs. Also up for discussion: options for incorporation. The Media committee will be separating from Outreach. If you want to be involved with Media, come to the next Outreach/Media meeting, Monday 1/9 at 6:30pm at Strega Bar. We will be choosing a new meeting time and place. For more updates, please read the most recent General Assembly minutes. Comments Off on “Occupy 2.0” – Occupy City Hall – Good Deeds – Got Laptop? Click the map to help plan Occupy Reno's contribution to the Santa Crawl! This Saturday, we’ve got multiple actions for Occupiers of every stripe. 12 noon – Occupy Reno has been invited to join a celebration of U.N. International Human Rights Day. Meet downtown at the Christmas tree. 1pm – Occupy Your Yoga Mat! A free yoga class with Stacey. Andon recommends you wear your full-length yoga pants, as this class will be outdoors in the West Street Plaza. 2pm – General Assembly at Brick Park, aka the West Street Plaza, aka the circle at 1st Street & West Street. We’ve changed the time for this week only, to accommodate some supporters who’ve never been able to come to a GA due to their work schedules. Saturday night – Occupy the North Pole! Join the Reno Santa Crawl dressed as an elf. We’re protesting workers’ rights in Santa’s Workshop. This is a mock protest! We’ll be joining the Santa Crawl, bar hopping with all the Santas and supporting local businesses and schools. Meet at the arch at midnight to sing a 99% carol. We are putting gifts under the tree, with tags that expose labor conditions in overseas sweatshops. The Santa Crawl crew needs your help! Help rewrite carols, make gift tags and get things organized at the Santa Crawl discussion thread. On a slightly less festive but equally positive note: A delegation from Occupy Reno met with representatives from the City of Reno and the Police Department this Wednesday. The City was interested in OR’s future plans, and wanted to re-emphasize that we have a good relationship that is worth hanging on to. If we ever have questions in the future about what’s going on with our permits and other City-related information, we now know who to contact and how. There’s quite a bit more information in the 12/7 General Assembly minutes, including our notes from the City Hall meeting. Please read them and keep yourself up to date. The 12/6 foreclosure protest was small in number but definitely effective. Well done. Occupiers under the age of 18 are no longer allowed to remain at the Moana site after 10pm unless accompanied by a parent. We’re looking at a $700 charge for renewing the Moana insurance certificate. Chip in at the next General Assembly. David is preparing to set up in-person meetings with our representatives. 12/12 is a national Occupy the Ports action date. We will be sending representatives to Oakland to help out, and will also be handing out educational flyers at the Alamo truck stop. More on upcoming actions soon — keep checking in with the blog and the discussion forums. Thanks to everyone who made time to participate this week!